Garage doors are one of the known weak points of any home security system, and what’s worse, most burglars are well aware of that shortcoming, and often seek to exploit it as a primary means of gaining access to your home and its valuables. As a matter of fact, there could hardly be a more ideal break-in situation for a burglar than using your garage, because once inside, the garage can also serve as a shelter to hide criminal activity, and provide a base for any forays into the interior. Despite this inherent security weakness, any garage and garage door can be made more secure by taking some simple precautions. Out-of-town measures – When you’re on vacation or otherwise out-of-town, make sure to padlock the throw latch on the garage door, and if you don’t have a manual lock already, you can apply a C-clamp to either side of the door, so that’s effectively locked down. Install a peephole – By installing a wide-angle peephole in the door between the garage and your house, you’ll be able to see what’s happening in the garage. While that won’t prevent a security breach, you will at least be aware of what’s happening out there, so that you can quickly call for help, and prepare yourself as best you can. 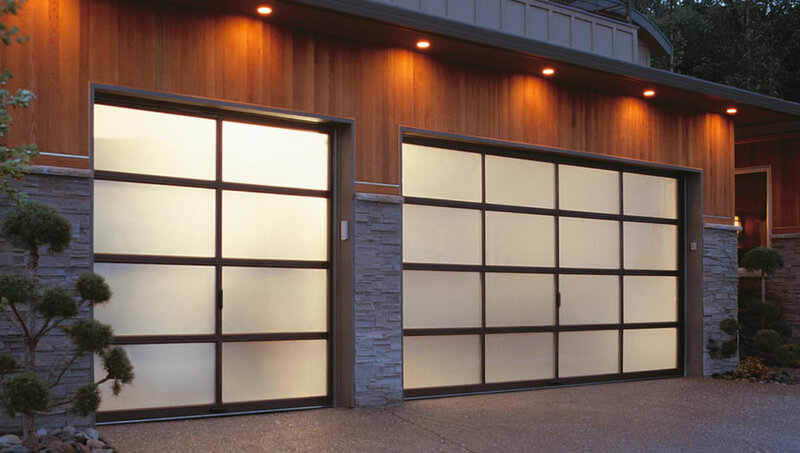 Opaque garage windows – Don’t allow criminals visibility into your garage so they can see when your car is gone, and when your residence is ripe for the picking. Either frost the windows so they’re opaque, or better yet, have the windows removed entirely. Close the garage door – Don’t get into the habit of leaving your garage door open all the time, because any criminal can drive by and notice that fact. Even if you live in a nice neighborhood, you can have not-so-nice visitors from outside that neighborhood. Secure your garage doors – The door between the garage and your home should be just as secure as the front door to your house, and it should be just as solidly built, so as to discourage access to the interior of your home. Garage door remote – It might be convenient to have the garage door remote in your car, so you can open it easily when you come home, but once you park the car and leave the remote in the car, any burglar has easy access to your house. Instead, invest in a keychain remote garage door opener that you can leave on a keychain, so the remote can’t be picked up by anyone who shouldn’t have it. Emergency release – Make sure that your garage door emergency release is secured, even if you have to use some plain old zip ties for the purpose. For all your security product needs, and for additional recommendations on how to make your home more secure against criminal penetration, contact your local residential locksmith, and discuss any issues you may have.